Petra is a historical and archaeological city in the southern Jordanian governorate of Ma’an, that is famous for its rock-cut architecture and water conduit system. Another name for Petra is the Rose City due to the color of the stone out of which it is carved. The site remained unknown to the Western world until 1812, when it was introduced by Swiss explorer Johann Ludwig Burckhardt. It was described as “a rose-red city half as old as time” in a Newdigate Prize-winning poem by John William Burgon. UNESCO has described it as “one of the most precious cultural properties of man’s cultural heritage”. 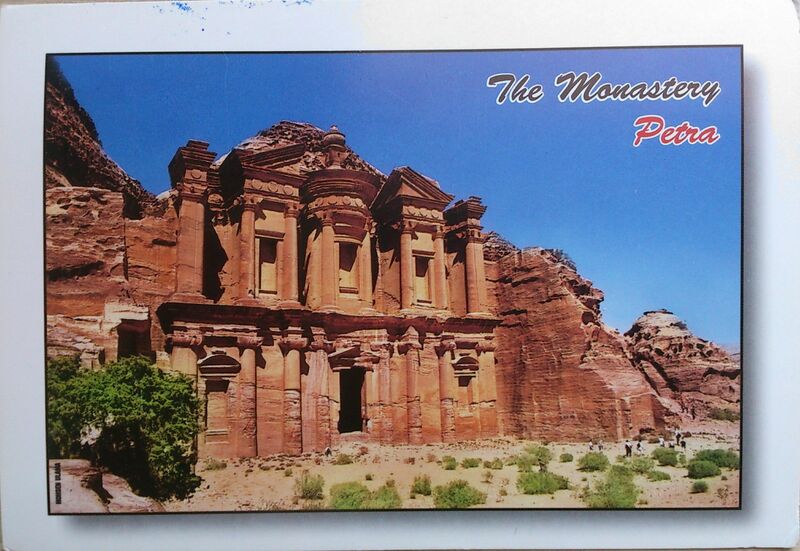 The Monastery, Petra’s largest monument, dates from the 1st century BCE. It was dedicated to Obodas I and is believed to be the symposium of Obodas the god. This information is inscribed on the ruins of the Monastery (the name is the translation of the Arabic “Ad Deir”).